First there was the Christy Awardss, then there was the Carol Awards . . . and now Realm Makers brings you ________. Oh, right, there’s no name yet. WE NEED YOUR HELP! This year, Realm Makers is excited to announce that we are designing our own awards program. 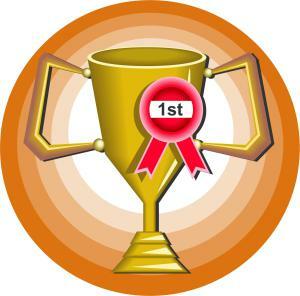 There will be lots of information in the coming months about the different categories, who can enter, and how. Today, though, we have a more important task! WE NEED A NAME FOR OUR BOOK OF THE YEAR AWARD! And what better way to name an award than to have a contest. Yes, we thought that was rather genius to. Submissions will be open for until NOON EST on Thursday, November 19, 2015. To submit, just leave your suggestion in the comments below and make sure that there is an e-mail address.